My coat closet is packed to the brim, but full of dark colored jackets, coats, vests, fleeces, etc. Black and gray are the predominant colors in all of my outerwear pieces. That's why I've decided that I'm in dire need of some color injections in my Fall and Winter coats! I'm thinking it would be better to stick to a neutral bright tone since I'm just not used to wearing fun colored outerwear. What do you think? Are you on the bright-colored coat boat this season? 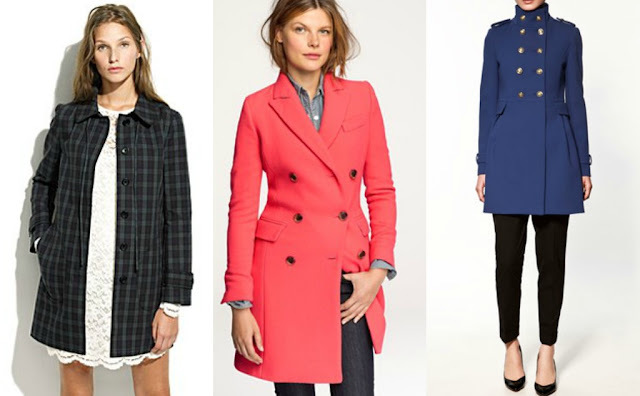 I love those pops of color in a coat! Perfect for the dreary weather of winter. I tend to gravitate towards darker colored coats, but who says those have to be all we wear in the winter? The bright coats in the second picture are to die for! I have an orange one, I need to break it out soon. I love the coats in the second pic. Since i just moved to nyc all i have are the basics when it comes to winter gear. Now you got me thinking about purchasing a colorful coat, it's always nice to inject some color in your wardrobe. I just got JCrew's new catalog and have been drooling over all the bright colored coats! Love that look! love all the jcrew options! amazing! 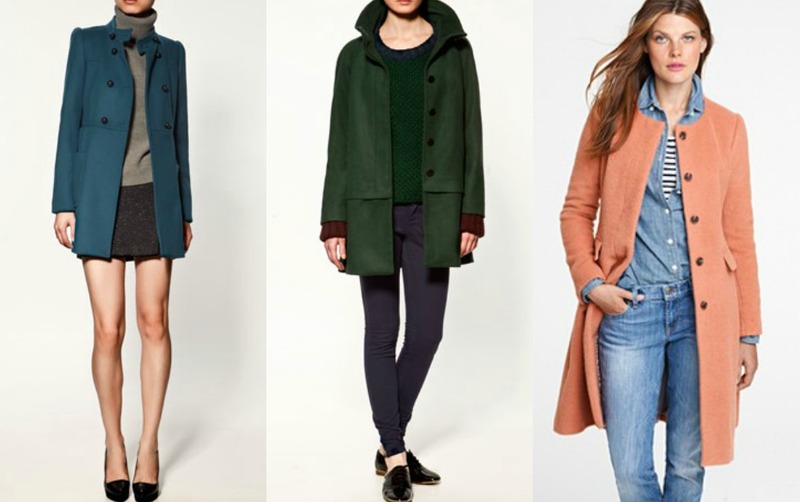 I LOVE colored coats, although I have to say when it comes to my own I usually stick to the black/neutral. I pretty much love all the Zara coats. They are so amazing. And I do love bright colors, but it's better to be safe with a neutral. You can pair it with so much more! Know how you feel - I have SO many coats, but really want a fun bright one! Love #2! I love all of the bright colors that are out now! With the progress of the society, what we wear shoes has also been progress, more and more design, various style gives us added different pleasures in life. If you want to exercise can wear sports shoes , such as nike air max , if you want to be different, you can wear Jeremy Scott , and so on. Shoes are in our lives shall not be less of a friend, do you need?